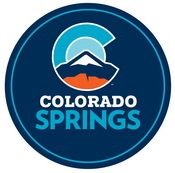 Colorado Springs recently repealed their local ban on switchblades and gravity knives. Click here to read the ordinance that was passed. Knife Rights would like to congratulate our good friend Air Force Master Sgt. (Ret) John Bloodgood for this notable accomplishment. When Knife Rights was able to help repeal Colorado’s ban on switchblades and gravity knives last year, that bill did not include preemption which would have nullified all local bans. It is an effort for another day. As you may recall, Sgt. Bloodgood was critical to that bill’s success and we acknowledged that in a ceremony last year where we presented him an award. However, that wasn’t enough for this fine gentleman. He wasn’t going to wait for preemption and took it upon himself to work to get Colorado Springs’ ban repealed. Especially so without preemption, convincing a local jurisdiction to repeal existing bans on knives no longer banned at the state level is good for all.